Heat oven to 450ºF. Make 1 pie crust as directed on box for One-Crust Baked Shell. Set aside. 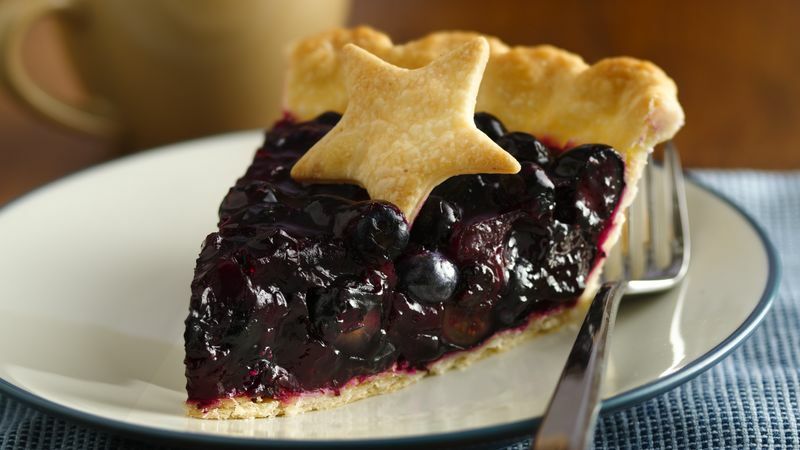 Roll out second pie crust and use a cookie cutter to cut decorative shapes for the top of the pie. Bake 7 minutes; set aside. Substitution: Frozen blueberries, thawed and well drained, can be substituted for fresh blueberries.